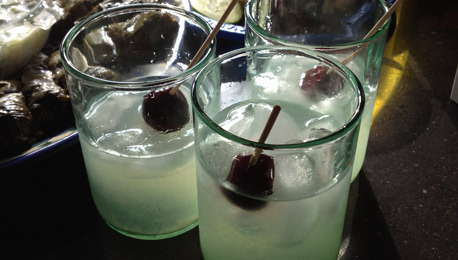 Hungry Again is a blog about good food and drink. Particularly how to make it, eat it, drink it and use it for cultural exploration and pure pleasure. Atlanta is known for many things – its sprawling suburbs, horrific traffic and never ending construction among them. Even if you hate sitting on the Downtown Connector at rush hour, there is no denying that this city has a certain charm and appeal. It is still the economic engine for the entire South. It has a thriving music, arts and food scene. Atlanta has beautiful, leafy, historic intown neighborhoods that attract more new residents each year. But, not known to many people outside the city, there is one part of Atlanta where the flood of new immigrants has quietly come and changed the dynamic of the food scene profoundly – Buford Highway. The daughter and I went on a food adventure last week and so, as we always do, we headed to Buford Highway. Among the many, many immigrant populations that you will find represented along Atlanta’s melting pot is Korean. 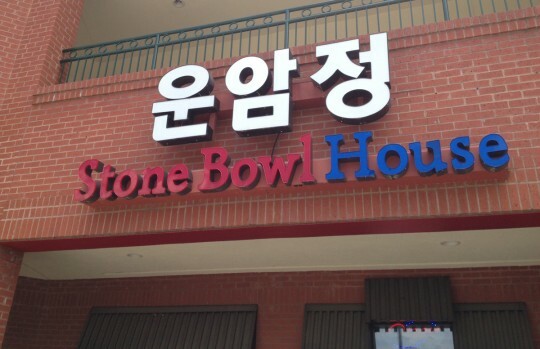 Up and down Buford Highway, you can find many places that have typical Korean cuisine – bbq, noodle dishes, soups and rice bowls. So many to choose from but we ended up at Woo Nam Jeong Stone Bowl House, a Korean restaurant that is known for its version of bibimbap. Since we’re spending Spring Break this year in Atlanta, we’re trying to compensate for our lack of beach action by doing fun “staycation” adventures in town. 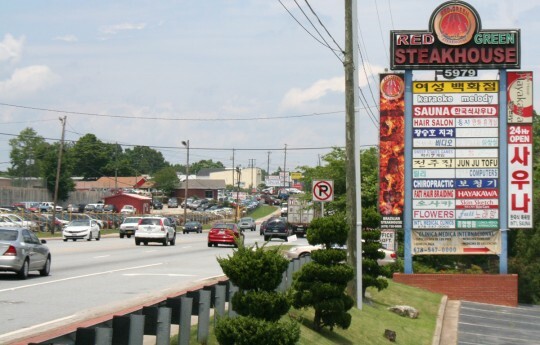 Part of being a tourist in your own town means hitting up your restaurant wish list, which for us means heading to Buford Highway. I’d read a review of a Salvadoran restaurant in Doraville called Rincon Latino. I didn’t really know much about Salvadoran food, so it seemed like a good place for a food adventure. Rincon Latino is known for it’s pupusas, a specialty of El Salvador. 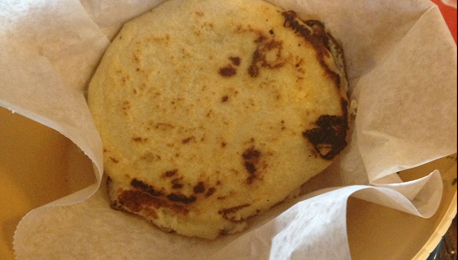 Like a Mexican torta, a pupusa is a thick masa flatbread filled with different kinds of meat and cheese, then cooked on a griddle.